People around the world are expressing encouragement and support for the people of France. In particular, for the people in its capital city, Paris. In most big cities, there are large buildings or monuments that are famous. For instance, the CN Tower in Toronto, Canada or the “London Eye” ferriswheel in London, England. 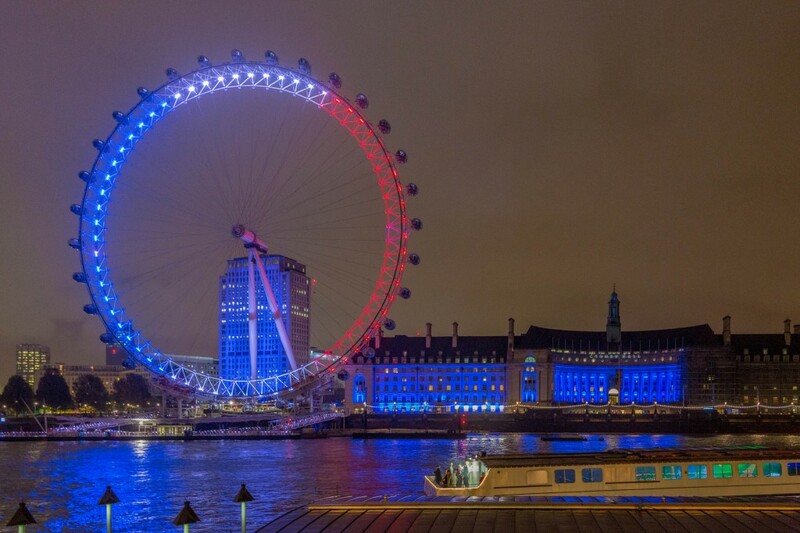 Last week, many of them were lit up in the three colours of France’s flag: blue, white and red. In that way, the countries were expressing their support for France. People are feeling this way about France because something awful happened there last Friday. Explosions killed people in Paris. A terrorist group known as “ISIS” says that they set off the explosions in order to gain awareness for the group and the group’s beliefs. The group also led five other attacks in France that day. The President of France, Francois Hollande, is putting many measures in place to help protect the country’s citizens. The mayor of Paris, thanked people for their support. She posted on Twitter “un grand merci du fond du coeur,” — “a big thank-you from the bottom of my heart.” She also posted pictures of various monuments around the world lit up in blue, white and red. People around the world have also been gathering in support, holding “vigils” (peaceful, supportive gatherings) often outside their country’s French embassies. In Canada, people gathered in many cities across the country including Quebec City, Montreal, Ottawa, Calgary, Vancouver and Toronto. In Paris on the weekend, many people stood in line for hours to donate blood to help people wounded in the attacks. On Twitter, many people used the search feature #porteouverte (open door) to let people who had been hurt or frightened by the incident know that if they needed a place to stay, they were welcome in their home. More than 300 Red Cross workers have been sent to France to help. What does this quotation mean to you? What does it mean in relation to the attacks on Paris? What can we learn from this quotation? When something awful happens, people gather together in support and solidarity. The article explains that people around the world have reached out to Parisians (people living in Paris) on social media and by lighting their monuments in the colours of the French flag. They do this to show their sadness and support. What other ways can people around the world show their support to France? What could you do?